I imagine he was referring to the fact that America releases games on a different day of the week from other countries--hence 'slightly earlier, but nearly simultaneous', though he didn't specify. 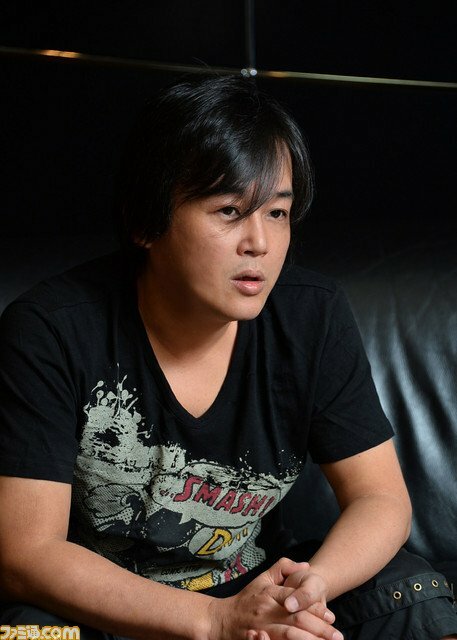 Kingdom Hearts series director Tetsuya Nomura recently sat down with Famitsu to give an interview on Kingdom Hearts HD 2.8 Final Chapter Prologue, focusing on specific details in each of the three portions of the collection. Though the interview covered many of the same topics as the earlier Dengeki interview, Famitsu's team managed to pose some interesting questions, and received equally interesting responses. Here is a summary of each of Nomura's responses in the interview. A full translation will be added as soon as possible. In regards to Kingdom Hearts Birth by Sleep 0.2 -A Fragmentary Passage-: Nomura remarked on the ability for the product to be easily altered with Unreal Engine 4, especially in regards to lighting, as previously mentioned in Dengeki. What is in the demo will be in the retail version of the game. He wanted to give the players something to explore in the demo, someplace where they would have to get up high to get a lay of the land before proceeding. Nomura says KH3 will have a similar feel, where free-running to a high place and scoping out the map will be necessary. Nomura states that time has stopped in this place only, and that moving to different locations will result in different 'effects'. As in the Dengeki article, Nomura explains the battle system, and also says that the concept of Command Styles has been transferred to Keyblade Transformations in Kingdom Hearts III. Nomura calls the Heartless Swarm a 'Devils Wave', mentions they've been present since the first KH3 trailer, and that they're still not at full power. Aqua will only gain strength through leveling up--there are no new Keyblades for her to obtain. (Famitsu's interviewer hypothesizes that this is why the Command Styles remain in 0.2, when they won't really be present in KH3, where you can change Keyblades. Nomura doesn't remark on this point one way or another.) When discussing the length of Kingdom Hearts Birth by Sleep 0.2 -A Fragmentary Passage-, Nomura says that it will feature a lot of cutscenes. The intended play order is Dream Drop Distance, then -A Fragmentary Passage-, then Kingdom Hearts III. Kingdom Hearts Birth by Sleep 0.2 -A Fragmentary Passage- is not exactly scrapped content from Kingdom Hearts III. It was something he felt the need to make, but Nomura didn't want to bog down the pace of storytelling in KH3 with backstory, so he separated it out and created a separate installment around it. Kingdom Hearts III will have a short prelude before the game really starts to make sure everyone is caught up. In regards to Kingdom Hearts Dream Drop Distance HD: Nomura mentions the Catanuki, explaining it was something the Osaka team really wanted to add to the game. He also discusses PS4 trophies, 60fps, and the difficulties in transitioning to a game without two screens to work with. He mentions the 'spirit' of developing for the unique properties of the 3DS continues, in now developing for the unique properties of the PS4. In regards to Kingdom Hearts χ Back Cover: Kingdom Hearts χ Back Cover is being made with the same tech as Kingdom Hearts III. Famitsu asked directly if the Black Coat is the Foreteller's Master. Nomura says yes! He is a 'unique glue' between them, and he apparently has nicknames for each of the Foretellers. Kingdom Hearts Unchained χ has recently hit 4 million downloads, and after the North American release, there was a very strong demand to release in the EU. He is happy for this chapter of Kingdom Hearts to be brought to fans all over the world. Nomura also hints that the Kingdom Hearts Unchained χ story will soon branch from the Kingdom Hearts χ [chi] story. Kingdom Hearts χ [chi] is complete, but Kingdom Hearts Unchained χ can be considered 'Season 2'. Nomura anticipates that Kingdom Hearts III may hit Japan slightly earlier than the rest of the world, but it will be nearly simultaneous. Kingdom Hearts HD 2.8 Final Chapter Prologue is in the final stages of production, with English recording currently being mastered and timed. He also told fans to please be patient and anticipate this winter for new Kingdom Hearts III information, and focus on Kingdom Hearts HD 2.8 Final Chapter Prologue for now. Next year is the 15th anniversary of Kingdom Hearts, and also the 30th anniversary of Final Fantasy; he told fans to anticipate a lot of features next year relating to those series. Which of these answers has you most intrigued? Let us know in the comments! Right now would be a good time to check which bosses appear there, with the 1 AP event in the JP version. Once I've finished guilting everything in my inventory, I'll check out those sections. My teammates are investigating the other raid spawn points in the meantime (or at least they've told me they are, lol). That sounds like good info to have. I've got members of my party trying to gather as much of that info as we can, but right now all I have is raw data. So I've spell-checked the info that I have (there were some really fun autocorrect changes in there). The mission information is quite accurate (and based on experience seems to be the same between the JP and NA versions), the rewards aren't listed out according to the Boss level, but they seem to be accurate ranges based on my experience. I'm not sure what the best way to display this information would be, or if it's something that would be better suited to a walkthrough or a guide rather than a Wiki. A common question among new players is 'what are these circles underneath the attack on this medal?' Nevermind "What does this say?" These orbs are filled in when you synthesize an identical medal on the Level Up screen, and they boost the value of your medal's Special Attack. The increase in power is equal to the increase gained by evolving the medal to the next rank, so the bonus varies slightly depending on the medal. The medal above had its multiplier boosted by 4% when I combined it with another identical copy. For example, on the left I combined a 4★ Auron with another 4★ Auron, and a new orb is filled in on the preview screen. However, on the right, a 6★ Auron combined with that 4★ Auron doesn't grant any additional orbs. Left: This synthesis will give you a new orb. Right: No new orbs Any medal 3★ and above can be synthesized with a copy of itself to gain these orbs, and higher ranked medals have more slots (a 3★ medal has 1 slot, and a 6★ medal has 5 slots). Additionally, these synthesis orbs transfer both when evolving to the next rank and when combining with other identical medals. If I level up that 4★ Auron in the example to 6★ and then combine it with my existing 6★ Auron, I would get 2 additional synthesis orbs--one for the medal itself, and one for the orb it already carries--and would thus max out his attack. Take advantage of this property when planning your medal evolution! (e.g. instead of evolving 6 medals to 6★ and then combining them all, synthesize them together as you level them, and instead combine a 6★ medal with 3 orbs with a 6★ medal with 1 orb--you can end up saving lots of Munny and rare evolution medals this way.) The increase in damage granted by synthesizing can be quite large. For example, this medal went from a x3.10 multiplier to a x3.91 multiplier--a huge increase! KH3D Riku stats But wait, what's that purple symbol on the right side? That's Guilt. When you pass Mission 200 in the North American version (or Mission 350 in the Japanese version), you receive the Power Bangle, allowing you to Guilt your 6★ medals. Guilt adds an additional multiplier to your medal's damage output, just like the multipliers on your Keyblade. Guilt is activated in the same way as synthesis orbs, and can be thought of like a 6th orb slot--if you combine another 6★ copy of a medal with a fully synthesized version (or if you planned ahead and combine a 6★ with 3 orbs with a 6★ with 2 orbs, for instance), then you will unlock Guilt, and a random percentage will be granted to your medal based on the symbol it carries. Common medals and event medals tend to have Level 1 Guilt, while rare Limited Edition medals have Level 3 or Level 4 Guilt. The possible Guilt percentages. In the NA version, there are currently only Level 1 and Level 2 medals available. A Guilted medal can be re-Guilted by adding another identical 6★ medal, which will re-spin the wheel and give you a new result. If the new amount is higher than the existing Guilt, then your Guilt will increase (if it's lower, then nothing changes). In the future, a rare medal will be released which can be used to add an orb or Guilt to any medal. 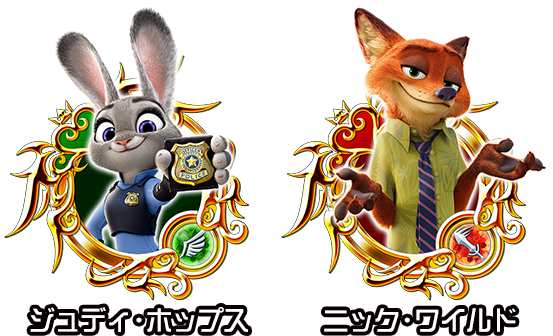 In the JP Version, this medal is called 'Mickey and Brooms', while in the NA Version, it will be called 'Fantasia Mickey Ver. B'. I hope this guide helps new players reach their full potential! If there are any questions, comments, or additions, leave a comment below! It wouldn't be difficult to include both the original Japanese text and the translation--just a little tedious, but there's less than 20 total mission requirements. I've got a big pile of Raid Boss information (still incomplete--I don't have a complete list of missions that spawn Omega Trident Anchors, for instance), I'll see what I can add to expand that section. Re: the missions being 1:1, everything I've seen so far suggests that they are almost exactly 1:1, with the exception of some of the mission challenges (e.g. the NA version almost exclusively has the 'Defeat all enemies in 1 turn' challenge, while the JP version usually requires only beating the Target Heartless in 1 turn). The Half AP is set to end in about a week or so. Wow, that looks awesome! Should I go through and transcribe all of the Japanese mission names to help clarify which set of requirements goes with which version? Or will it be broken up with NA/JP tabs (once tabs get implemented)? Another note, I'm unable to change the size of image thumbnails on images that were copied over via the maintenance script. New images that are uploaded can have their sizes adjusted, but old ones will display "Error creating thumbnail: Unable to save thumbnail to destination" any time I try to alter the existing |thumb|400px tag. If we have to re-upload all of the images, that's kind of annoying but okay. Is there a way to mass upload images? The problem was from last night, they just didn't mention it until today. The problem has in fact been fixed. Nevermind, false alarm, lol Some other people are still reporting captcha trouble. I don't know if they were having trouble last night and didn't try again today, or if the problem resurfaced. Excellent! If you'd like, you can go ahead and upload those screenshots to the Wiki, post them (just move the Japanese screenshots down to the Japanese info), and start transcribing the mission requirements. The Power Bangle unlocks the Guilt bonus on 6 star medals. You can combine identical medals (same character, same rank) and fill in the yellow orbs under their special attacks prior to Mission 200, but after Mission 200, you can further power up their attacks with Guilt. Sadly, stat bonuses from Chip and Dale medals and Cost reductions from Cid medals do not transfer when you combine medals, so plan carefully! In the JP version, status effect Scrooge medals are available every month via the Coliseum Boards, along with some of the Attack Boost/Defense Boost skills. They also occasionally grant Scrooge medals as a promo bonus for purchasing the medal 10-draw. The NA version needs some time for Scrooge to proliferate. A most emphatic thank you for that! Yes, chat heads would be the Facebook Messenger. 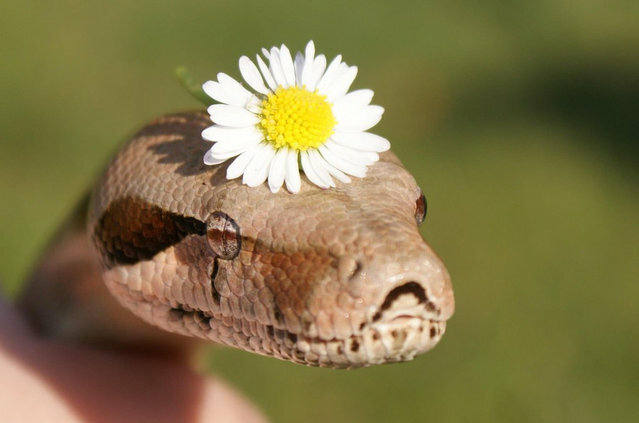 Any images that would thus be considered low quality could be replaced with a higher quality version. Pages explaining parties, Unions, etc. would all be very useful to new players. Mostly all that is currently up are medals and missions, with a few other bare-bones pages and some explanations of mechanics.